pre-1900 era is lacking - needs more railroad and maritime features. Topic: pre-1900 era is lacking - needs more railroad and maritime features. Prior to the 100.0 stable executable and the associated pak128, I was able to start a map just after the year of 1890. True, not all of the rail cars were available for transporting certain goods, such as grain cars for a few more months, but at least it was playable from that year onward. At the present moment factories, depots, and rail vehicles are not available collectively as a whole until 1900. There is a severe lack of steam engines during the pre-1900 era, at least for pak128. Yes, I am being a little bias here since I enjoy steam more than diesel, but I would enjoy having a start date of 1860 or just slightly earlier. Also, the ship transportation are lacking even more-so for this era. I find it extremely limiting to find only passenger and mail maritime transport then suddenly find an extremely large ship for transporting goods. That ship would be more appropriate for late 1960, but obviously shipping of goods such as grain existed prior to the 1860 that I mentioned for railroads. Being from the USA, I saw a map during my childhood of a comparison of railroads prior to 1850 and after 1880. The entire region east of the Appalachian Mountains was nearly blotted out with ink that indicated the location of track just after 1880! The earlier 1850 map had a lot of open areas, but easily apparent were the city locations. So please, I'm begging for a pre-1900 playable pak! Re: pre-1900 era is lacking - needs more railroad and maritime features. Have you tried pak128.Britain - if you want to play with British vehicles only then there is a complete rail timeline from 1750. Probably best to wait a few weeks for the next release though, which will be a big increase from the currently available one. Ships are planned, but not in the pak yet. Alternatively, you can merge the paks you like from pak128 and pak128.Britain - they will work together if you put the pak files in the same pak folder. It seems we agree about timeline The main problem is, as always, graphics. Ships are quite hard to draw and there is nowhere enough of them. With factories it's somewhat easier, they either exist or not, so it's just about bumping their intro dates far back enough. Although they will often look out of place. Trains... well, that might improve soon enough. The Hood: I am quite aware of pak128.Britain and have already downloaded it. Just too anxious to wait, I guess. I have downloaded the usset.pak but all of those, if I recall correctly, are Amtrak vehicles which belong in the late 1900's. Edit: Whoops. usset.pak were not the Amtrak vehicles. However, the pak contains engines that look too large compared to the graphics of the standard pak128. Besides this, the introduction and retirement dates seem to be a little off. Also, pak128.Britain seems quite a bit darker on my monitor than the normal pak128, and I can not lighten the images anymore with the +/- keys (ie, it is at its maximum for brightening the picture). I'm not wanting a brightness which would make the game look like something out of a cartoon. Somewhere around the 100.0 version of pak128 the grass tile lost some of the sprinkling of darker green pixels, and the grass tile now is almost nearing the cartoon-ish solid flat color IMHO. VS: I am utterly disgusted with my graphics ability, so I'm envying yours. I've also wondered about factories with a smaller footprint (instead of the seemingly typical 3x3 square) for the earlier time periods, with near a year 1900 or so retire date. Even a 1x1 factory with very small output for the 1800's. Hopefully it would make the graphics design just a little easier. Sadly,building of new trains after the Adler in Germany don't goed so fast.Just on 1890 they began a very fast building of a LOT of new trains,so you won't find much in the pre-1890 era. Matthi205: Seriously though, the photographs of the USA transcontinental railroad should lend some idea as to the condition of the railroad engines of the USA in the 1860's. The engine for the first passenger train in the current pak128 is nearly a match for that time period, yet appears so much later. And steam engines here in the USA kept progressing at a good pace until the mid 1940's or so. I just wish that all the concern about green house gases would provide a stipulation that active historic museums could be exempt from the carbon credits. There's nothing like standing next to something like a 2-6-2 engine and feeling it breathe! Well diesel engine could be fun too. 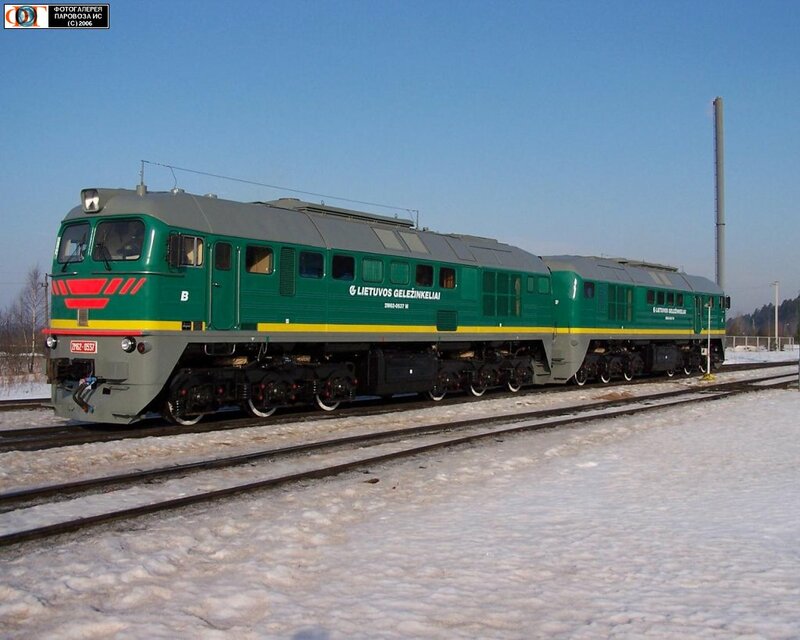 I like russian train 2em62 firing 25 liters of diesel to start. Nice sighting, a lot of smokes. If anyone is interested,I can find some german steam engines from pre-1900.